Looking back on season 6 of Winchester Deadly Passion, there was a lot to be thankful for. There were big bucks, amazing scenery, and fun times...but what really stands out to me is the people I spent time with. We flew out together, spent the week hunting, and on the last day she made a great shot on the biggest buck we had seen all week! She hadn’t been hunting in years, and to spend that time together was truly priceless. The best part is we filmed the entire hunt so others could watch and experience our hunt together as well. She was a little apprehensive about filming at first, but by the end she understood how beneficial it truly was. Not only could we relive those memories, but she was able to show all her friends and family and inspire so many others out there. So often I hear at trade shows from women, “Well, I didn’t grow up hunting and fishing so it’sprobably too late for me.” Showing my grandma back out hunting at 79-years-old should be inspiration to everyone! It was a spot and stalk hunt, she was shooting my Winchester XPR Model 70 in a .270 shooting Deer Season XP. 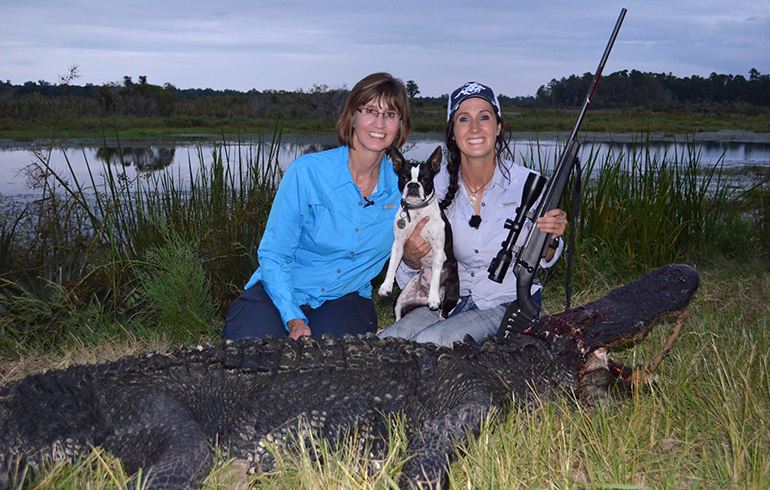 I was also lucky enough to take my mom on a gator hunt in South Carolina, my dad joined me in Alaska for an incredible spot and stalk bear hunt and the list goes on. As you can tell, it’s not the size of the animals, the location, or the species itself that has left the lasting impression. It’s spending that quality time in the field with my family and friends; making new friends along the way and most importantly inspiring others to get out and do the same. To top off the season, I have a pretty special present in store for my grandma as well. She wasn’t too keen on the idea of having a shoulder mount in her home so we went with a European mount of her big mule deer. 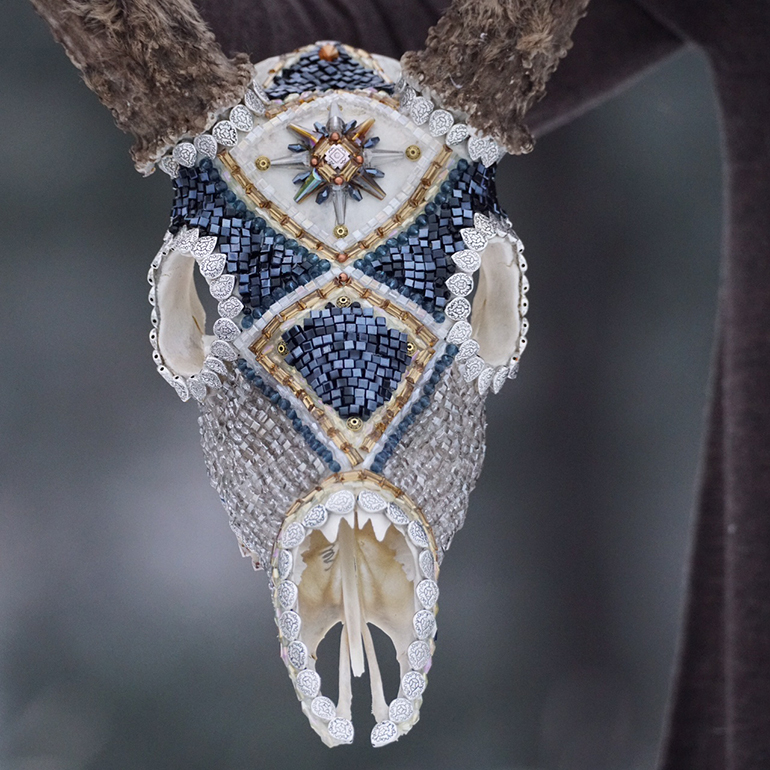 My good friend, and host of Skull Bound, Jana Waller is an amazing artist and does some incredible work beading skulls. I asked her to try her magic on my grandma’s skull. It turned out above and beyond what I could have ever hoped. This year at Christmas I’ll be surprising my grandma with a pretty special gift that not only looks amazing, but hold memories both of us will remember for the rest of our lives.